Bubbles, bubbles, bub-bubbly bubbles.I like the parts when they pop in the air. They're swirling and twirling. Drifting around and round. Some are big and some are little. Oh, I wish that we had moreBubbles, bubbles, bub-bubbly bubbles. I like the parts when they pop in the air. 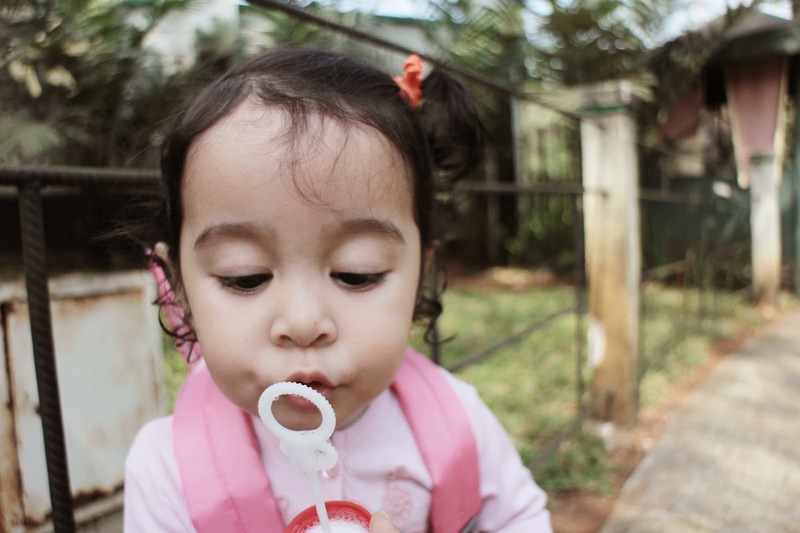 Her current favorite thing to do: Blow some bubbles!